Welcome to my very first blog. 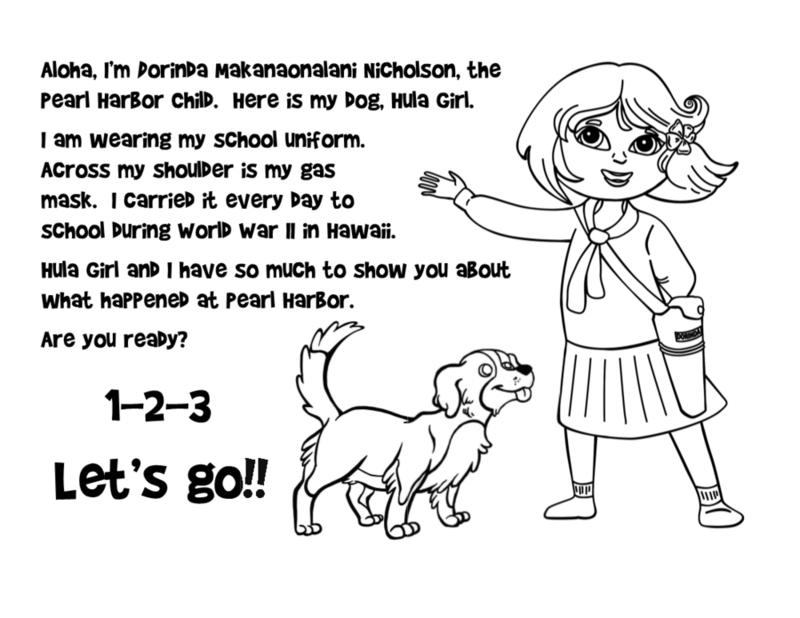 I’d like to start with posting pages from my Pearl Harbor Child Coloring Book. It’s a great introduction to this personal World War II story and for me to meet you. My school uniform skirt and tie are black, blouse is white, hair is black/brown, green eyes. Hula girl Is black and white. Within a few weeks, you will have the whole book downloaded.